The six-week Beckett Steps challenge will see over 700 Leeds Beckett staff make a virtual 1,000 mile long journey from London to Rome, recording their step count each day using pedometers. With cycling and swimming activity recorded in addition to walking, the staff wellbeing challenge will culminate as the ITC World Triathlon series arrives in Leeds in June. The 1,015 mile route from London to Rome, via Paris, Geneva, Turin and Pisa, will see over 100 teams of five staff members aim to average at least 10,000 steps a day, for the six-week duration of the challenge. Staff can track their progress on the route using a specially designed interactive map. As John Hamilton, Head of Safety, Health and Wellbeing at Leeds Beckett, explained: “We created the Beckett Steps challenge to try and engage all colleagues at our University in something that would be fun, and also improve their health and wellbeing. With one in three of our campus-based staff taking part this year, we have been overwhelmed by the level of interest and are incredibly excited about engaging such a large proportion of our staff in this wellbeing initiative. 82% of last year’s participants were female members of staff with only 18% male. 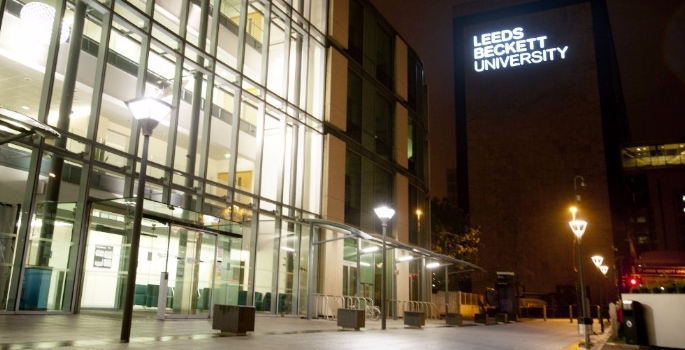 Following discussions with Leeds Beckett’s Centre for Men’s Health, the number of male participants has risen to 34% this year. Last year’s step challenge saw a total of 380 members of staff walk from Land’s End to John O’Groats, via the University’s Headingley Campus, with a total of 180 million steps achieved over 90,000 miles during the six-week challenge. Data collected prior to and after the challenge demonstrated a 35% increase in physical activity level, a 5.2% increase in overall wellbeing, a 5.3% increase in mental wellbeing, a 1% to 3% reduction in blood pressure and a 0.3% reducing in BMI (IPAQ and Warwick-Edinburgh scores).